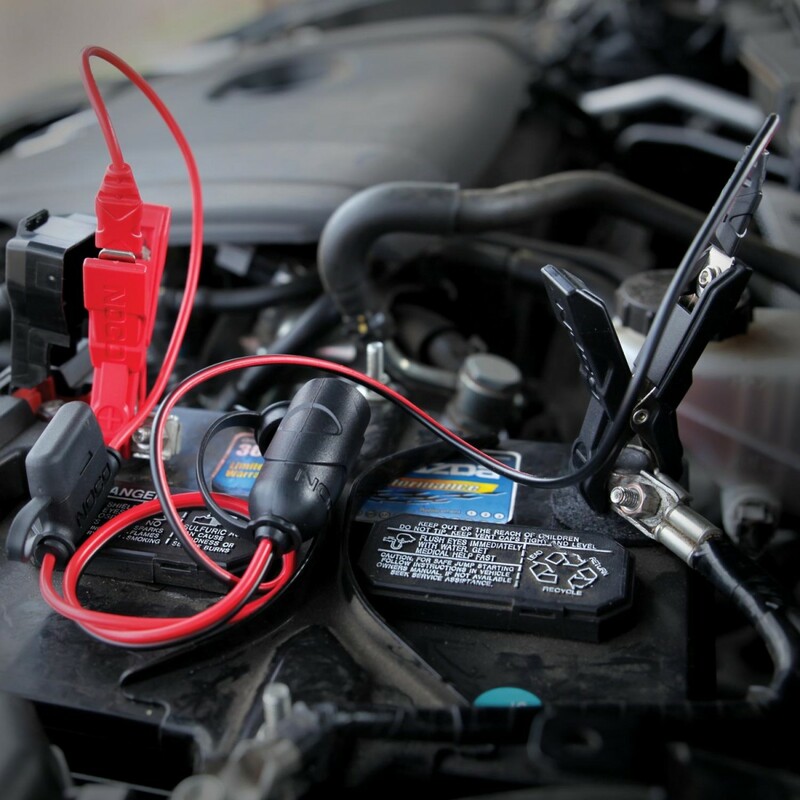 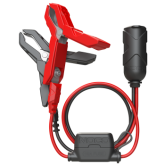 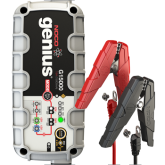 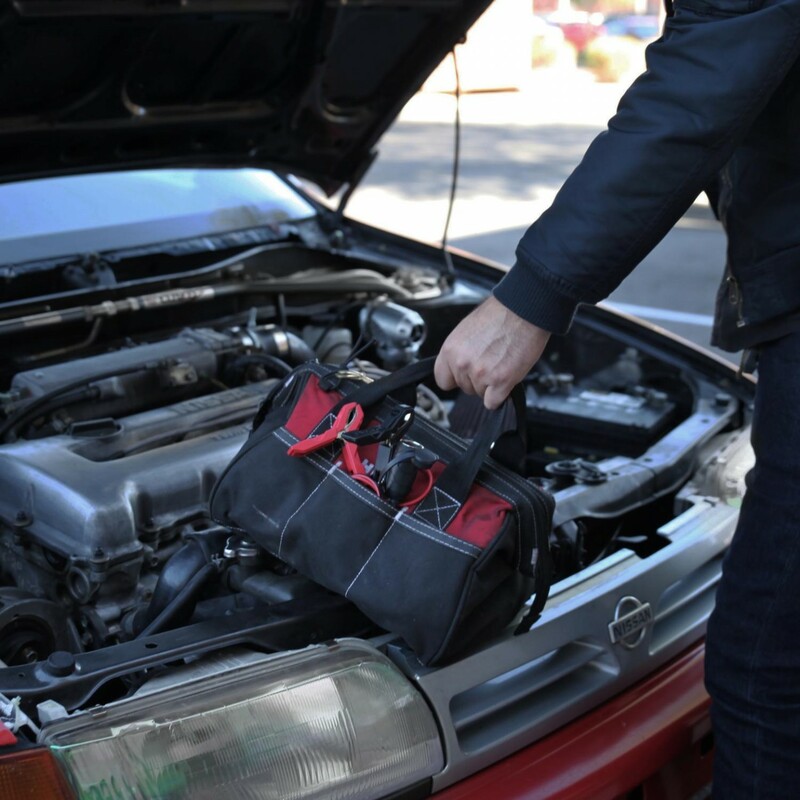 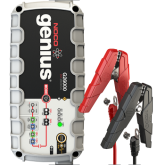 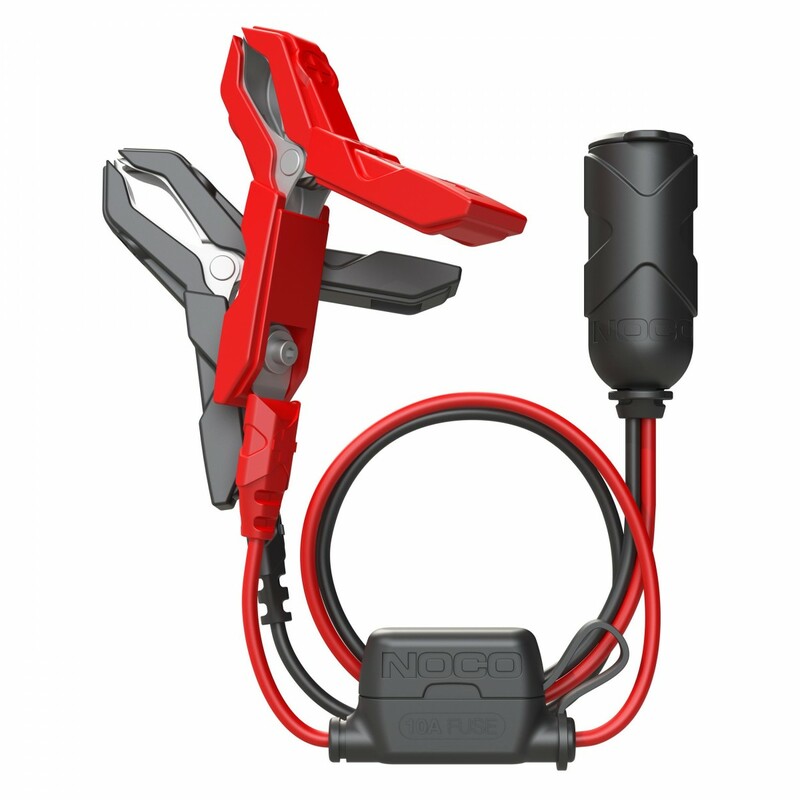 The 12V Adapter Plug with Battery Clamps connects directly to your battery with integrated battery clamps. 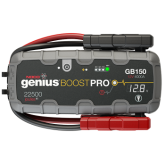 Easily power your favorite 12-volt devices directly from your battery, like a tire inflator, vacuum, coffee maker, fan, cooler and more. 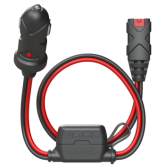 It features fused connections for increased safety and a water-resistant cap to protect the 12-volt female plug socket from the elements. 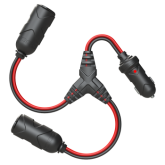 Made from a high-conductivity 16AWG 100-percent copper wire and a rated capacity of 15-amperes. 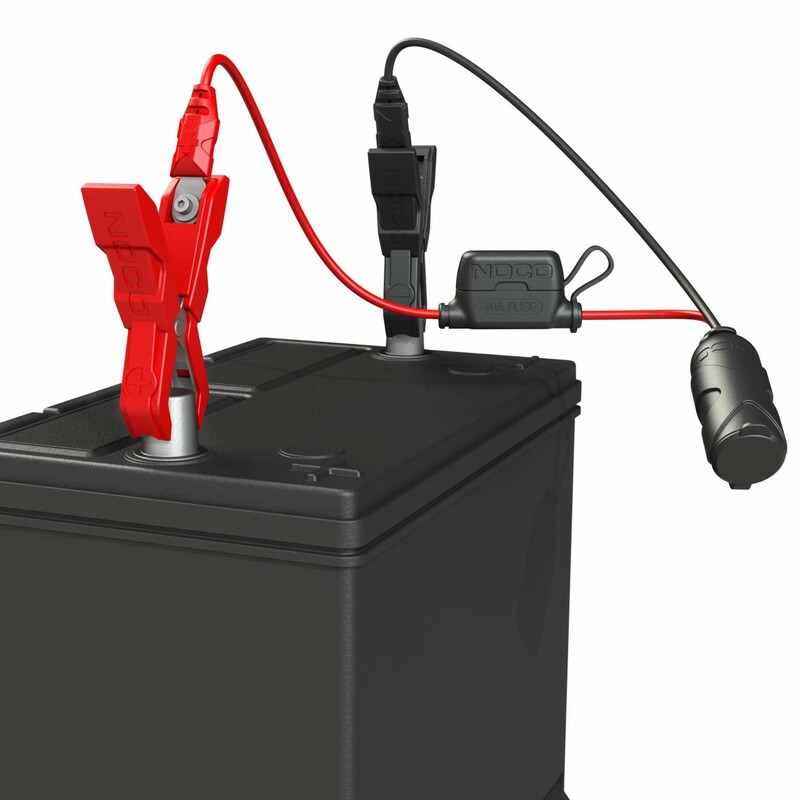 Power your favorite 12-volt devices, like a tire inflator, vacuum, coffee maker and more. 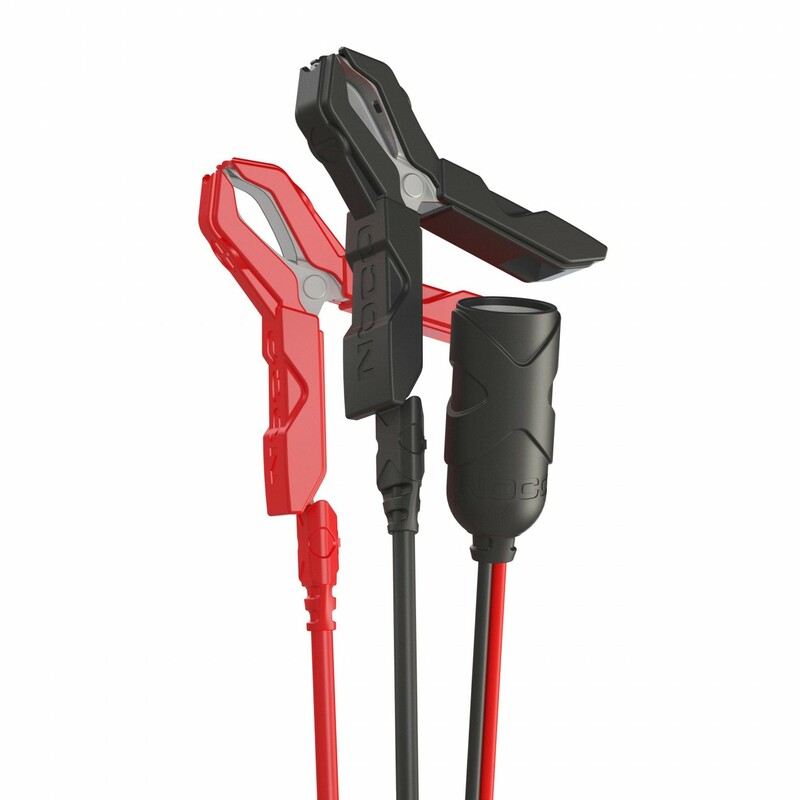 Built-in fused connection for protection against short circuit. 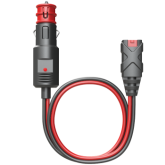 Manufactured to outperform and outlast the competition. 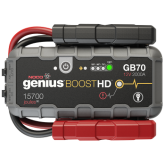 Connect directly to your battery to create a 12V port anywhere. 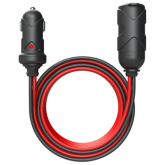 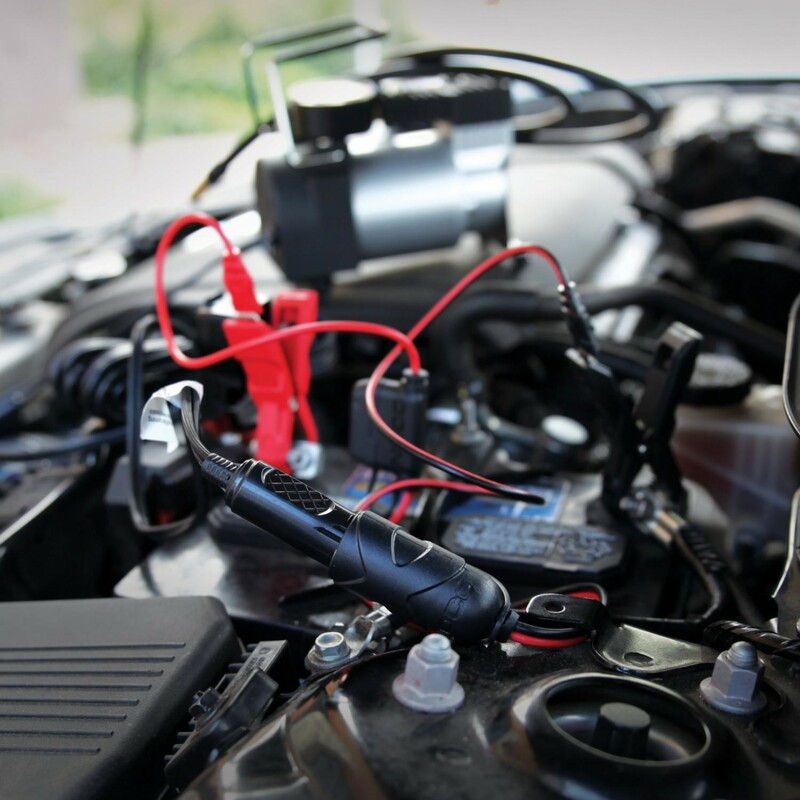 Riding your motorcycle or just need another 12-volt port outside the car? 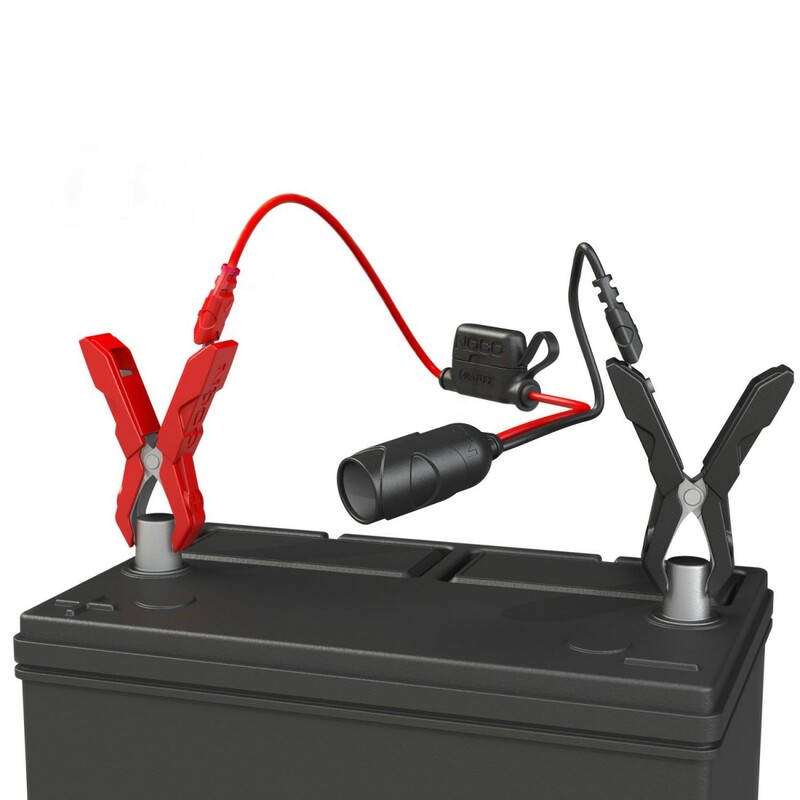 By hooking up the clamps to your battery it will give you access to a 12V port wherever you may need one.